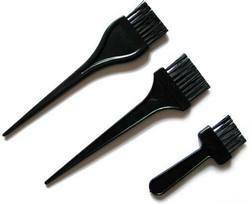 Pioneers in the industry, we offer hair dye brush and hair color brushes from India. In order to fulfill the diverse requirement of esteemed clients, we are offering a comprehensive range of Hair Dye Brush. 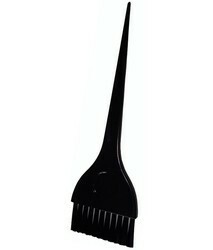 The offered dye brushes are available from us in numerous colors & size options so as to meet the needs of customers. We are involved in manufacturing, supply and export of slanted Hair Color Brushes, that are used for comfortably apply the hair color dye. These slanted hair color brushes are made using excellent contour bristles and are a must possess accessory for achieving beautiful color results. We fabricate these brushes keeping into consideration the requirements of our clients. Looking for Hair Color Brushes ?